There’s only one community radio station in Lake County: KPFZ. The station is run almost entirely by volunteers. 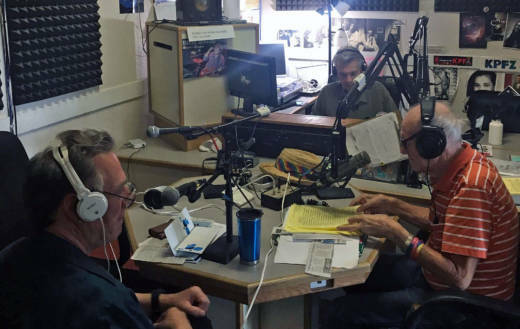 Most of the hosts are retirees who have call-in shows dealing with local topics, from LGBT issues in the county to "Senior Moments," a show that "features topics of interest to seniors." But in recent years, the station has taken on a whole new role in the community: reporting on fires. Lake County has been hit by wildfire after wildfire in the last decade, and KPFZ's volunteers have gone from hosting music shows to covering those wildfires. The switch happened after one phone call in 2012. The call came in early one mid-August morning. 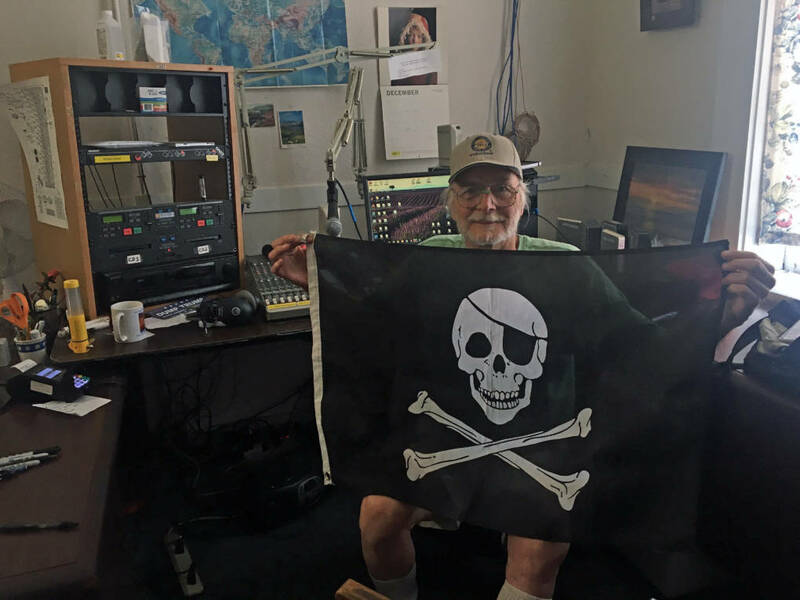 KPFZ station manager Andy Weiss was hosting a music show. The phone rang in the studio, and Weiss picked up, thinking someone was calling in about the music he was playing. It wasn’t about the music. The person was reporting a fire. Weiss broke into his programming to report the fire. The caller said the fire was up Highway 20, and as soon as Weiss got off the phone, someone else called with more information. Then another person called and another. Weiss stayed put and kept taking calls. The phone lines were busy for the next 10 hours. That phone call came at the start of the Wye Fire, which burned almost 8,000 acres and destroyed three buildings. It was the first time the station had taken a live, all-day, call-in approach to covering a fire. Now, it's standard protocol. A big part of the job during the fires is separating fact from fiction. People call in with false information—something they saw on social media or heard from a neighbor. There has been a steep learning curve for how to filter all this information during a live show. Only Weiss had any substantial experience as a reporter for radio. He said the station made mistakes at first, including passing along incorrect information, but Weiss said the station has gotten better with every fire. This year, they covered the Mendocino Complex Fire, California’s largest on record. But sifting through and presenting information is just part of the service KPFZ provides. Weiss said many of the callers feel isolated and are seeking solidarity. They call in to connect with other people who are going through the same things they are going through. At its best, the call-in program can bring the community together and be a comforting, calming voice amid all the chaos, Weiss said. KPFZ now has a show all about fire recovery because of how many fires there have been in recent years. It’s hosted by Betsy Cawn, who is one of the most avid volunteer fire reporters at the station. It was hard to meet with Cawn during the fires so Weiss told me to call and have the engineer patch me in during her show. Cawn told me there aren’t many places for locals in Lake County to turn to for information. Like in much of rural America, local media has taken a financial hit since the rise of the internet. There’s only a single newspaper, a public access TV channel and one news website. After fires, community members have been asking for the radio station’s address to send in donations. The station isn’t asking for it, but people wanted to send money because they knew the operation was being run on a tiny budget. Well over half of Lake County has burned since the Wye fire in 2012, and the county was already struggling before the spike in fires. Like many of the Northern California counties hit hard by fires in recent years, Lake County has one of the highest poverty rates in the state. Resources for anything, including a radio station, are scarce. KPFZ is run out of an old Victorian home off the main street in Lakeport. When Andy Weiss showed me around, he apologized for the messy office. The station is sparsely decorated, but it has the staples of a community radio station. There’s a poster of Bob Marley and one from the film "Attack of the 50 Foot Woman." In one corner, there's also a big pirate flag. What is hard to find around the station is equipment for reporting in the field. KPFZ only has two recording kits. Weiss wishes he had money to hire some journalists and start a paid news team. He showed me a room filled with empty boxes and old radios. This is where the reporters would sit, he told me. The entire station is run on a budget of $50,000 a year. He asked me if I would consider moving to Lake County. Weiss said he could offer a news director something like $400 a month, but so far there haven’t been any takers for the job. In the meantime, KPFZ is going to keep on with what it started doing in 2012: being a service for those who need it in times of crisis.